The Winterhouse is conveniently located 3 minutes from the gondola base at Revelstoke Mountain Resort. Our Bed and Breakfast is totally orientated towards your mountain activities both summer and winter. Relax in the warm comfortable guest lounge and watch the snow fall. 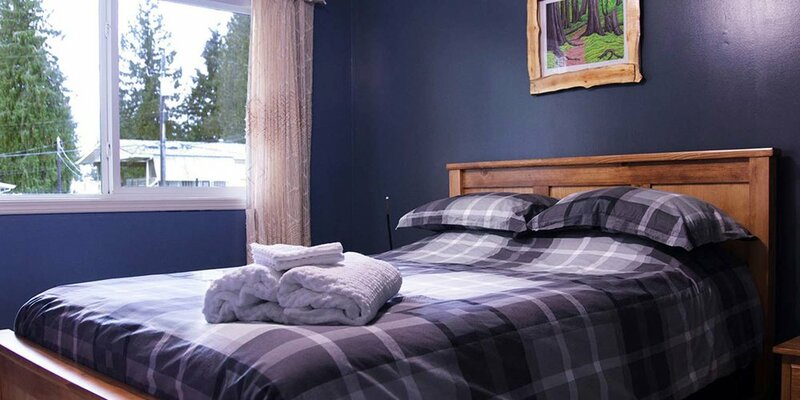 With lots of on site parking and only a 4 minute walk from the resort and town shuttle buses, the Revelstoke Winterhouse Bed and Breakfast is the place to stay. 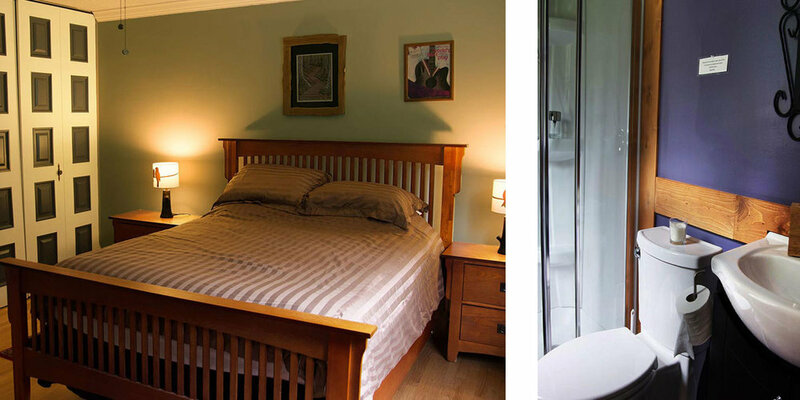 The Winterhouse has three well appointed comfortable bedrooms with new queen beds. Rooms 1 and 2 share a modern renovated bathroom. Room 3, the larger of our rooms, is sun-filled and boasts a newly renovated private en-suite bathroom. Sleep well in a peaceful quiet neighborhood that backs onto the largest inland temperate rain forest in the world. 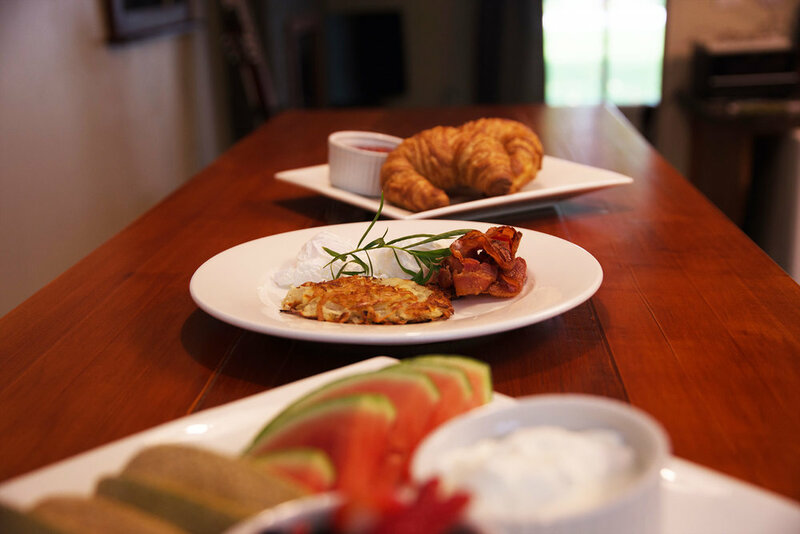 Dream of tomorrows adventures and wake up refreshed to a hot, hearty and healthy breakfast. Linger over a long full breakfast or grab the powder express hot breakfast. 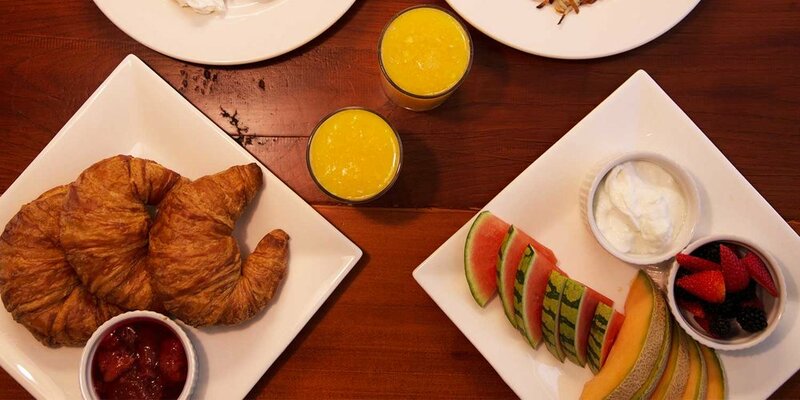 A hearty healthy breakfast is available between 7am and 9am. Special dietary request? No problem. Let us know in advance. Hi, my name is Glenn Westrup and I am your host at the Revelstoke Winterhouse Bed and Breakfast. Come and play with us in the coolest valley in the world. I ski every day in winter and bike and hike in summer. Being an active Ski Patroller for the last 25 years I love having industry people, ski bums and those that would like to be, visit and experience the magic that is Revelstoke. I am sure your journey will be memorable! Take the first exit into Revelstoke if travelling from the East (Calgary, Banff), or the second exit into Revelstoke if travelling from the West (Kamloops, Kelowna, Vancouver). Follow 4th Street South, crossing the bridge and turn left onto Nichol Road at the 4-way intersection. Turn left onto Hay Rd, look for us about 500m (1500ft.) on the right hand side.